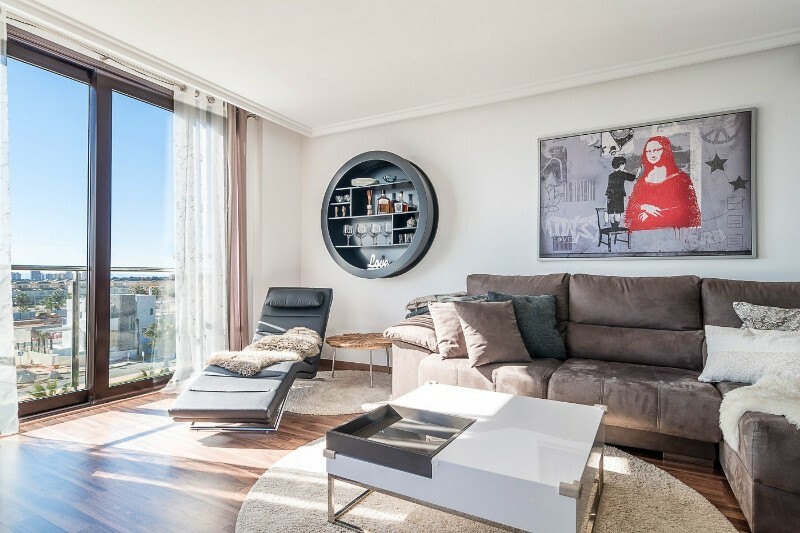 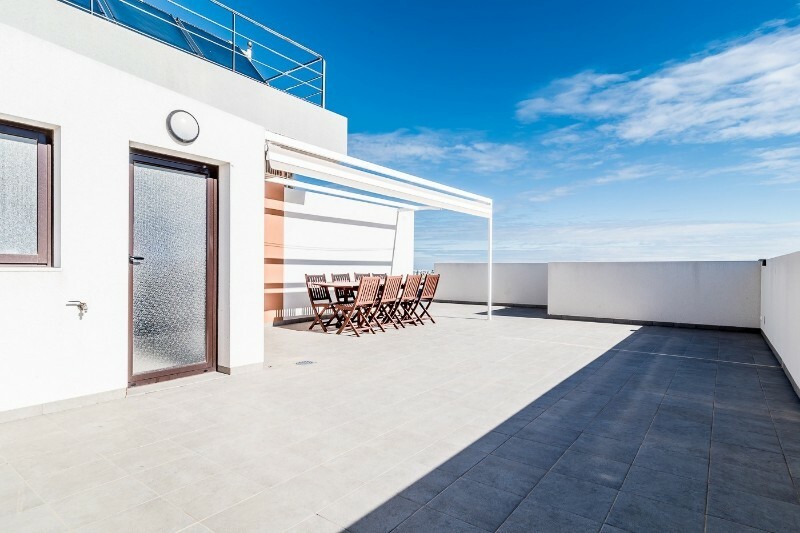 Attractive penthouse with large roof terrace and stunning views! 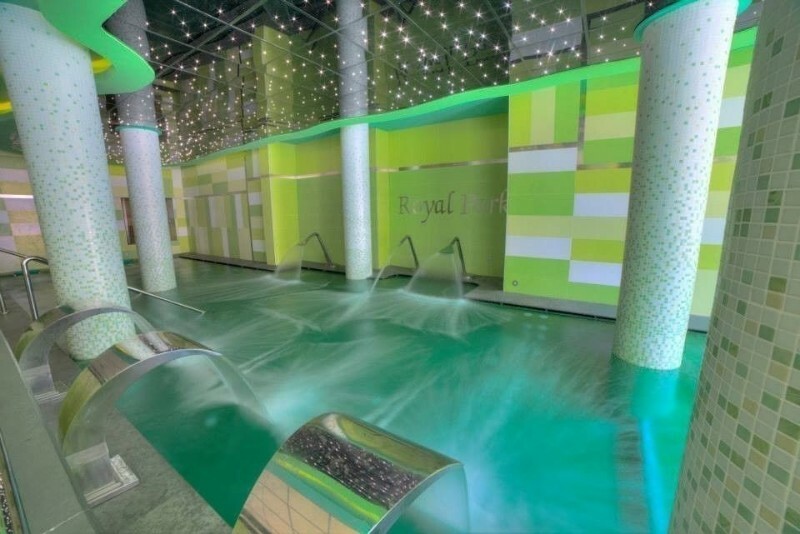 Royal Park Green Spa. 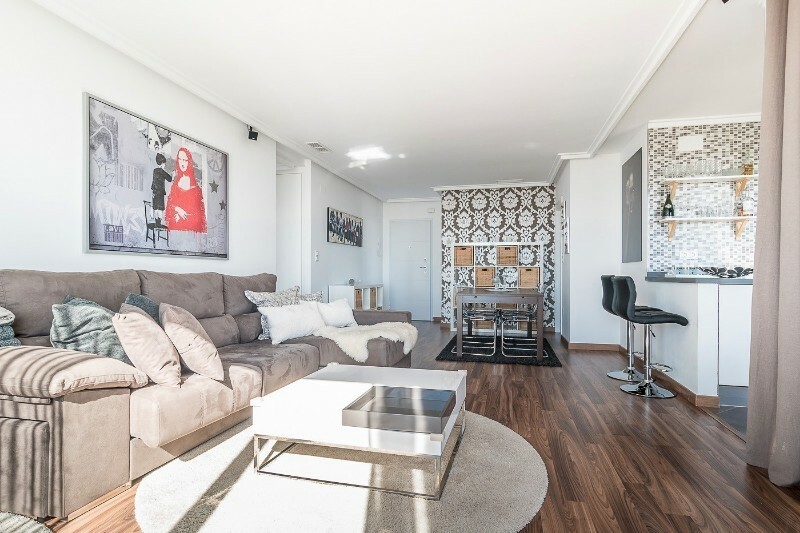 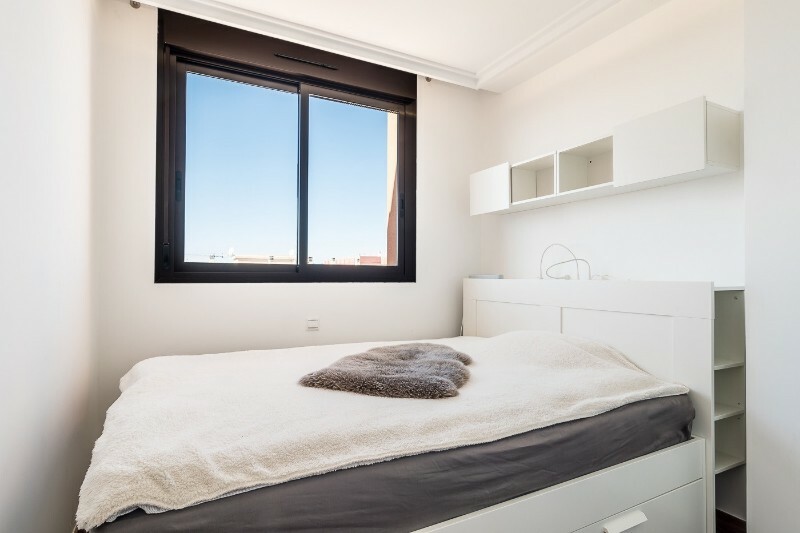 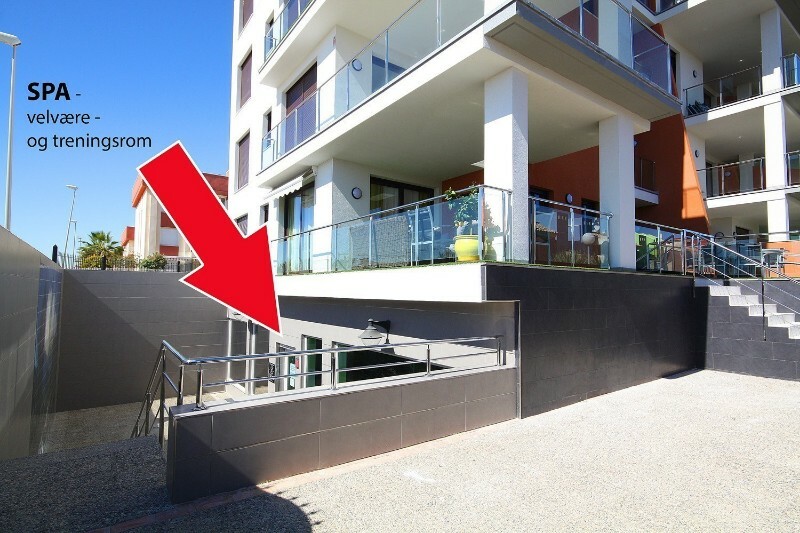 Modern high-quality apartment with three bedrooms, two bathrooms, and great terrace in third floor, as well as large private roof terrace with barbecue, laundry room and storage room in fourth floor. 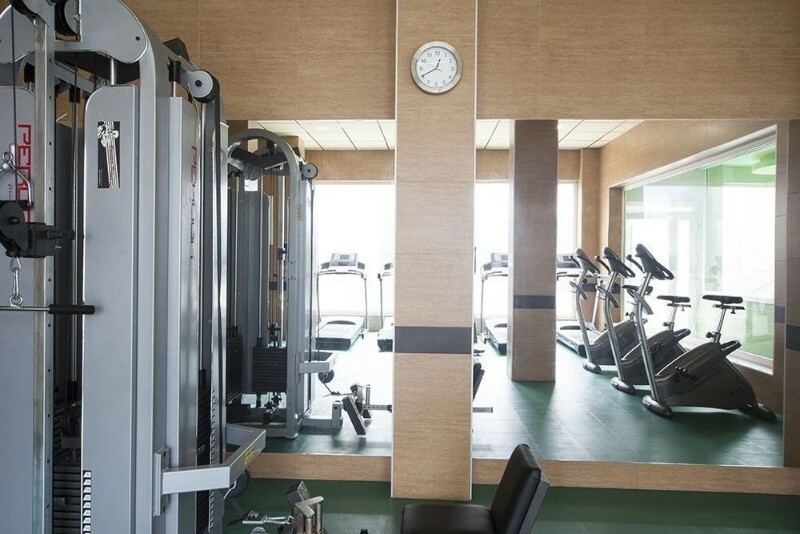 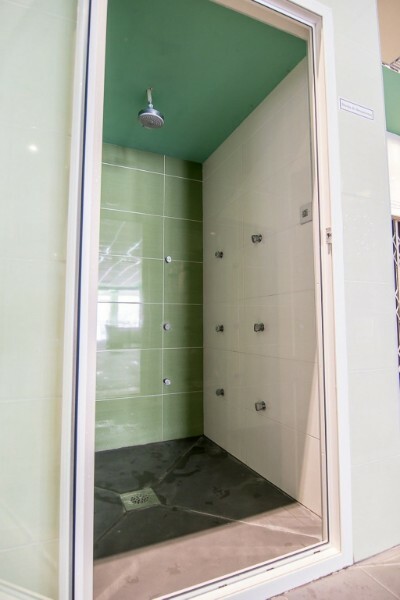 By the front door of the apartment there is a lift that goes directly down to the indoor heated pool and whirlpool, fitness and wellness department. 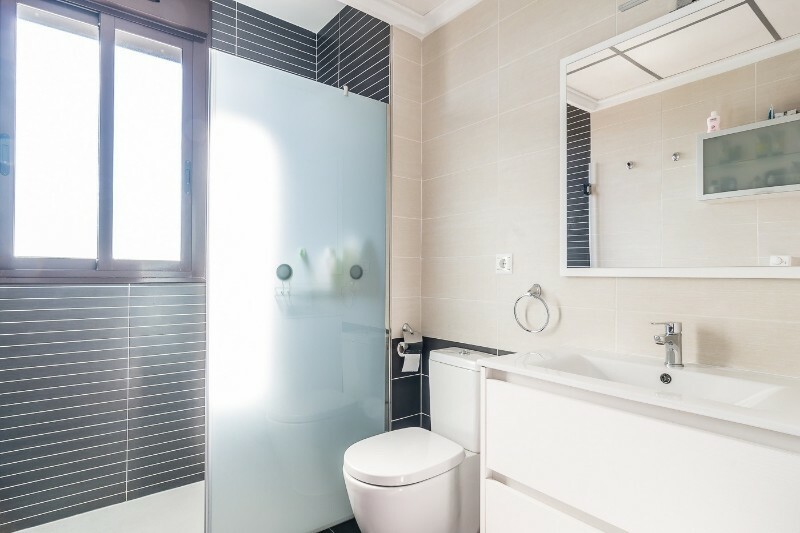 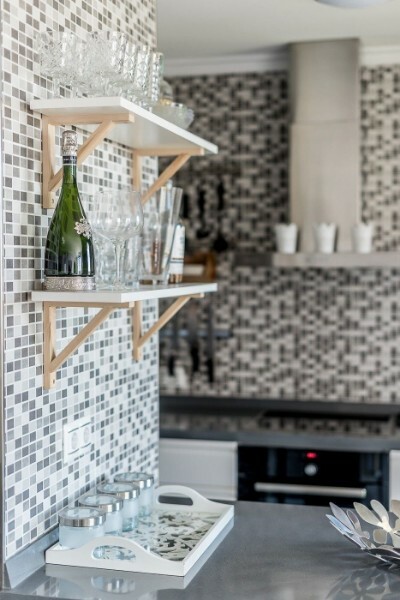 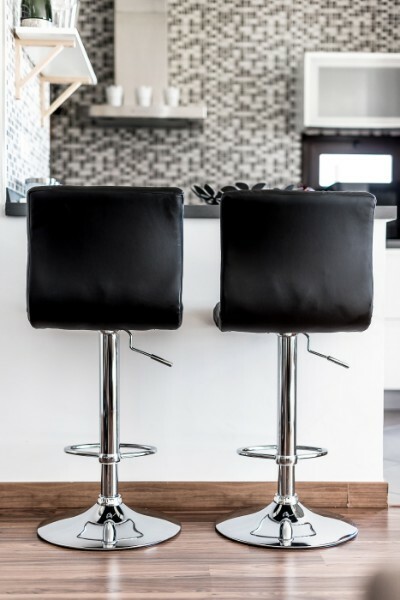 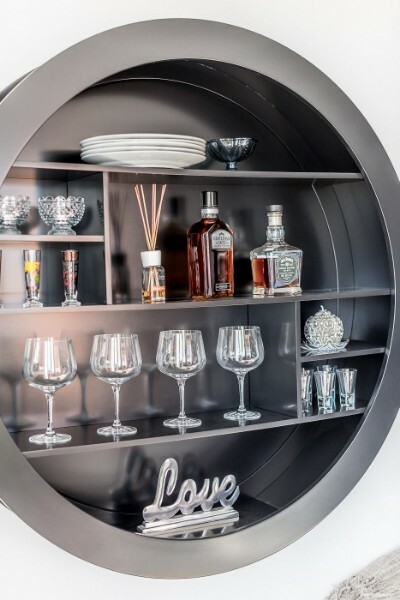 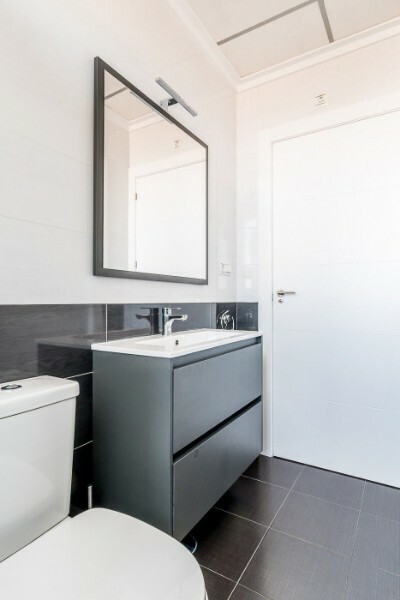 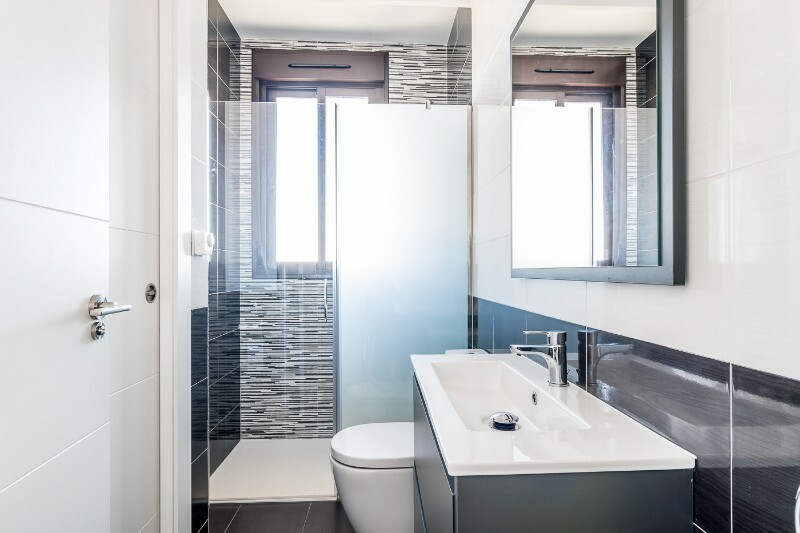 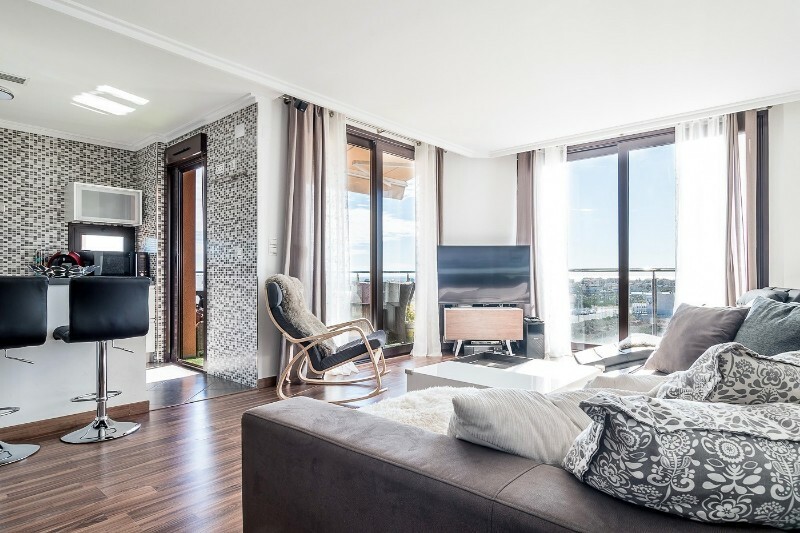 In the apartment there are many special details, such as parquet flooring (tiles in the kitchen), custom-built skylights with led lights, heat in the bathroom floors, american refrigerator with ice-cube machine, wine cooler, and running water purification system. 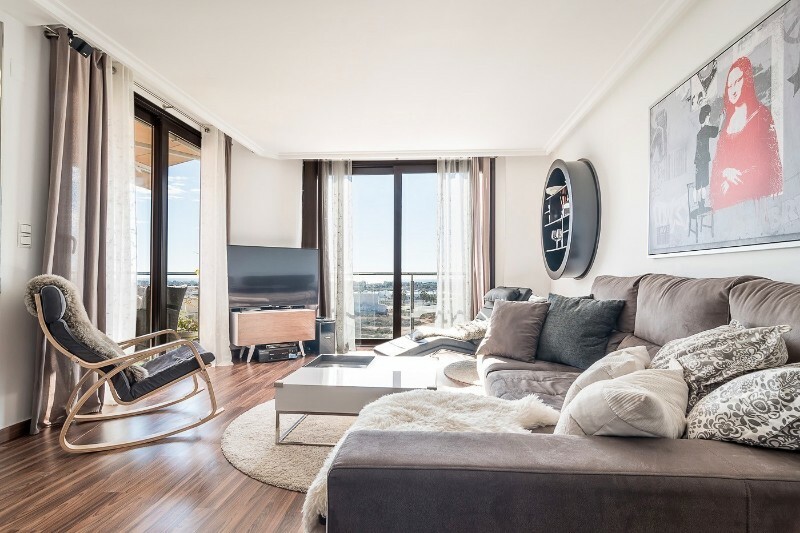 Large and airy living room with open kitchen, large window and sliding door surfaces that provide great natural light, as well as highlighting the beautiful view towards south. 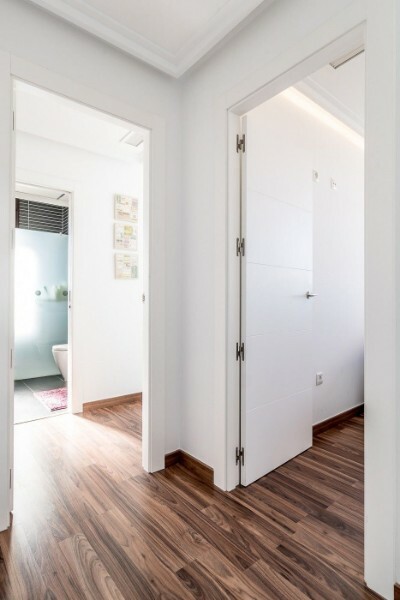 Three bedrooms with bright and spacious sliding door closets that go all the way to the ceiling. 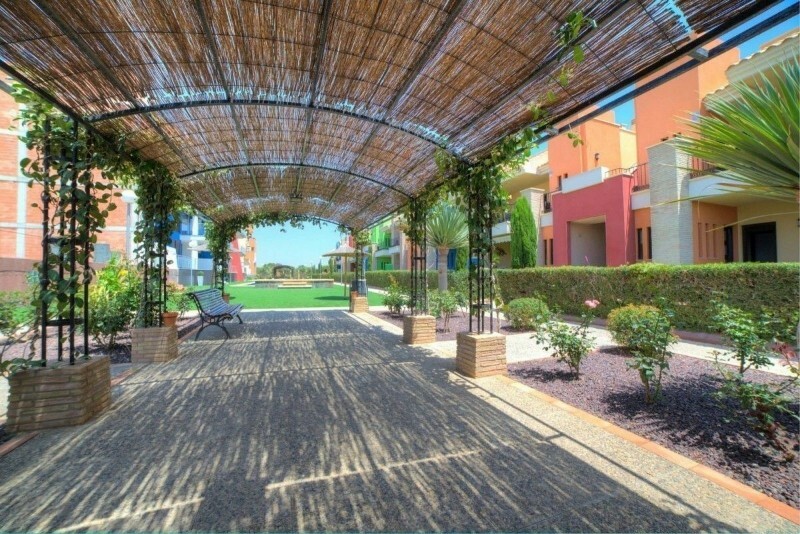 The location of the apartment and the private terraces are lovely too, at the very end of the complex towards south. 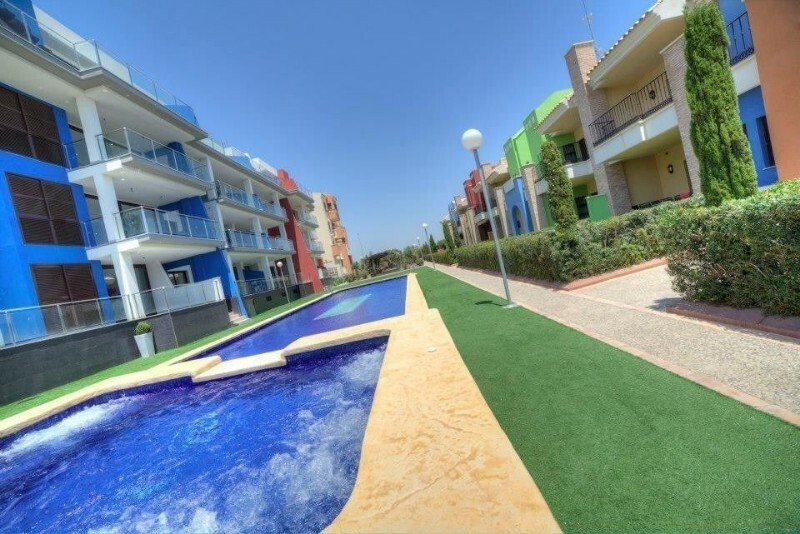 Here you will have wonderful views both right down to the pool, Jacuzzi and garden, as well as the Mediterranean Sea and the whole surrounding area. 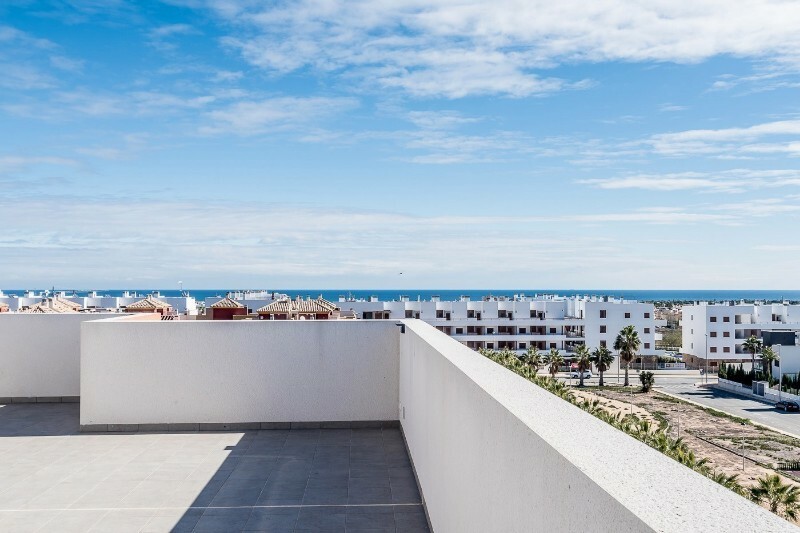 Feel free to come and have a look at this beautiful panorama view! 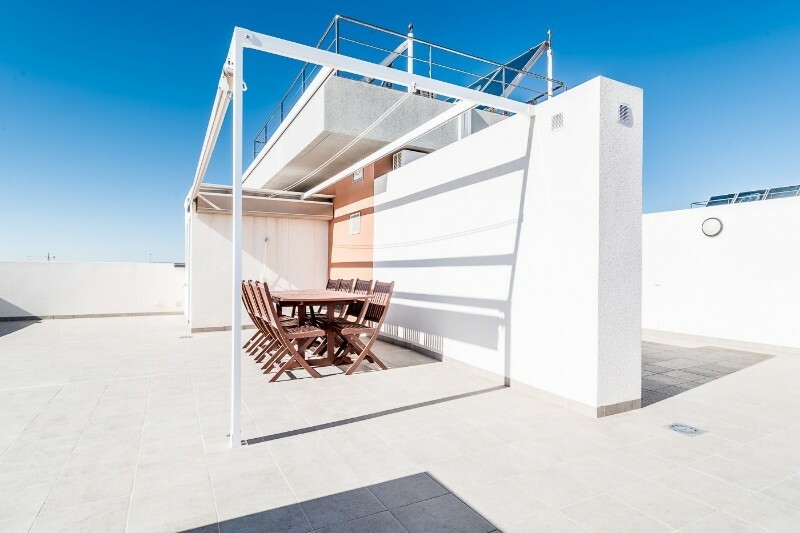 The roof terrace has great potential with possibilities for decoration and development. 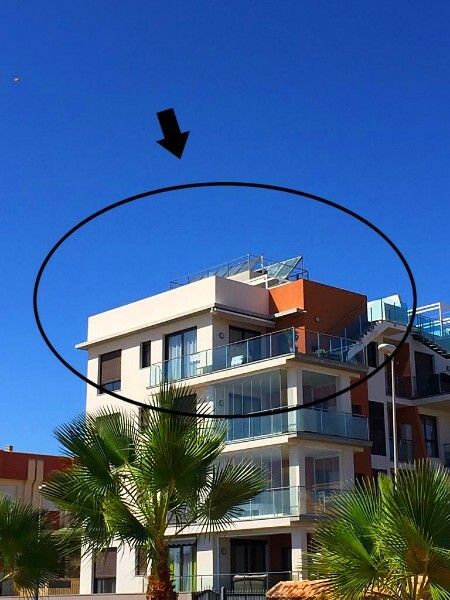 We are happy to contribute with suggestions and solutions. 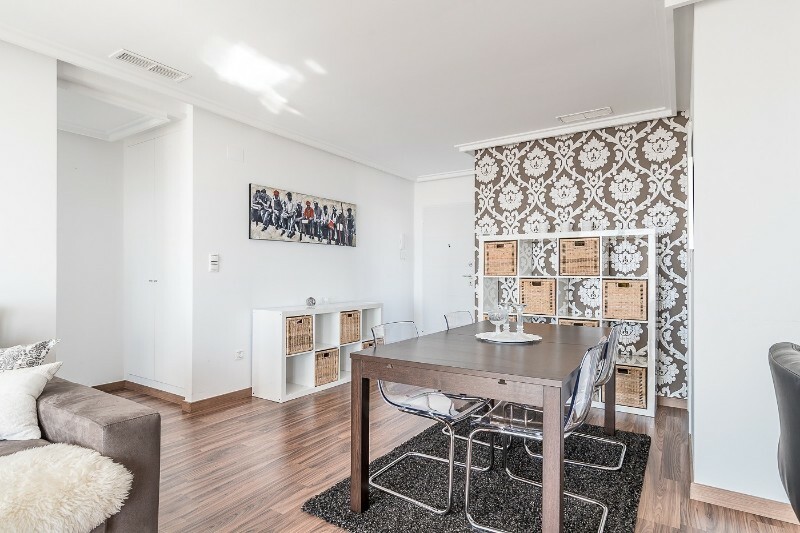 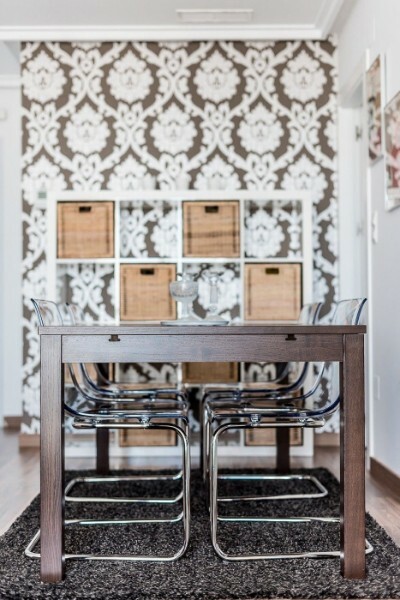 Included in the price are all furniture if desired (minus TV and surround system). 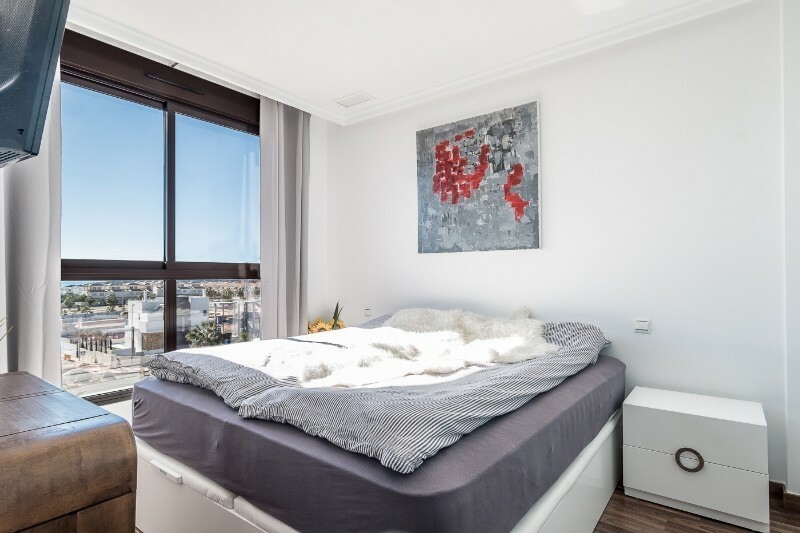 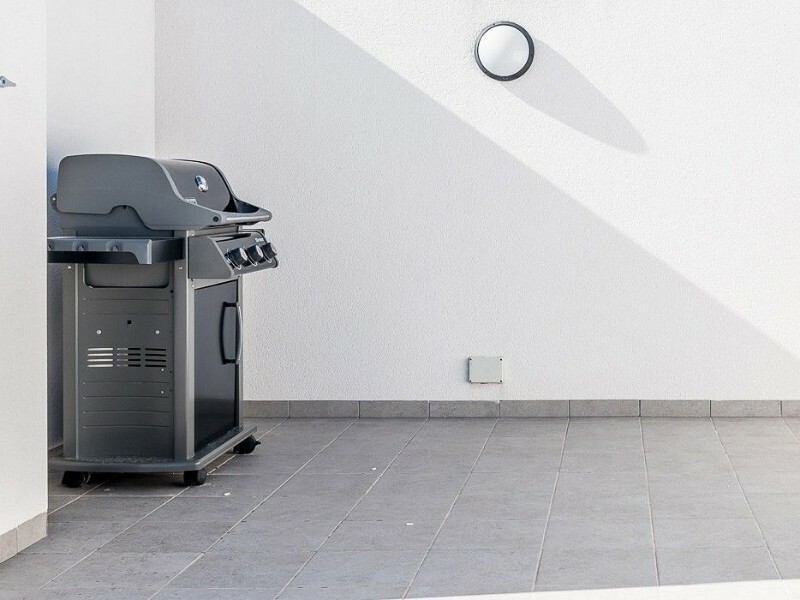 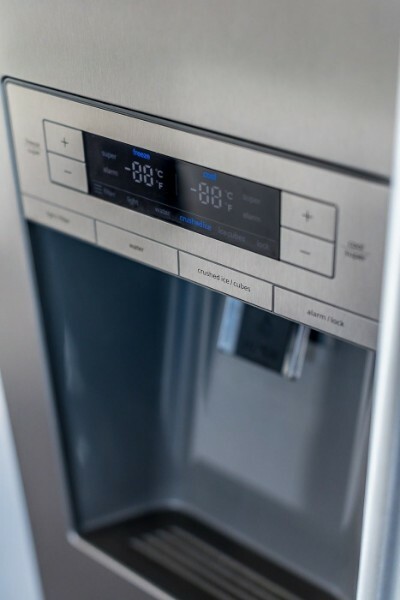 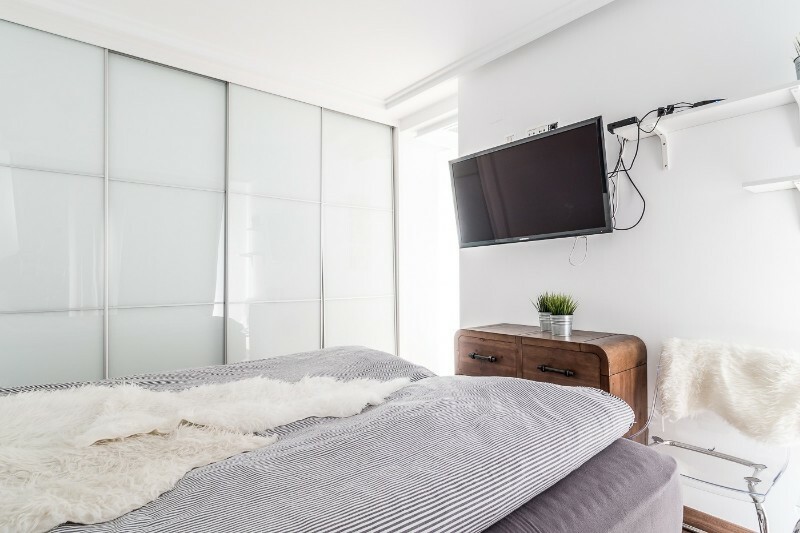 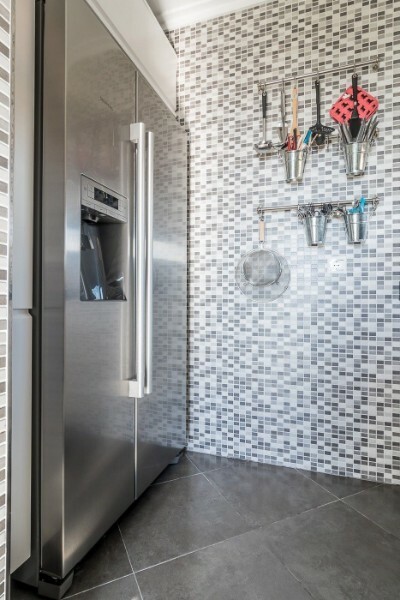 In addition, fully installed A / C and high quality integrated appliances, special lighting throughout the apartment, as well as large parking space in underground garage. 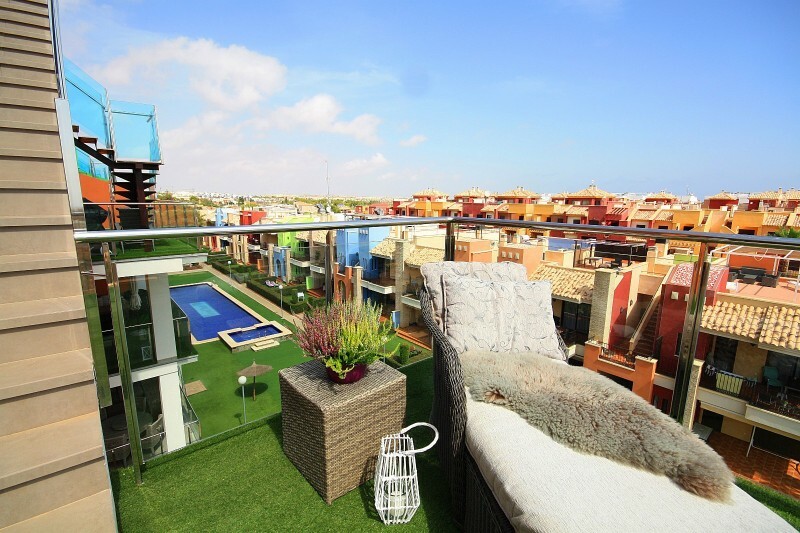 Size: 99.30 sqm + terrace 25.13 sqm + roof terrace 84.85 sqm. 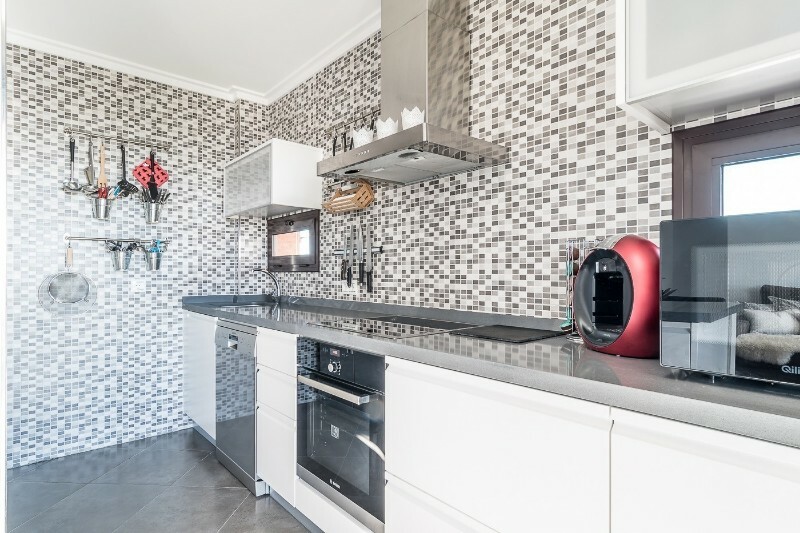 Total: 209.28 sqm. 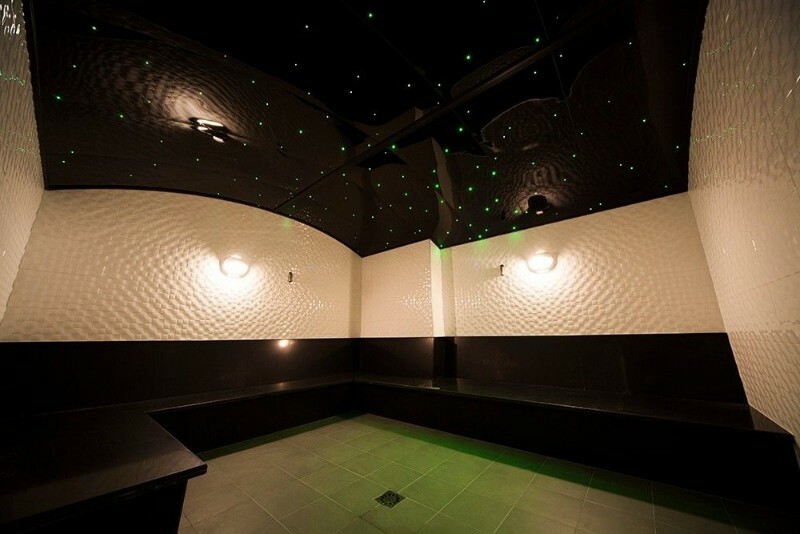 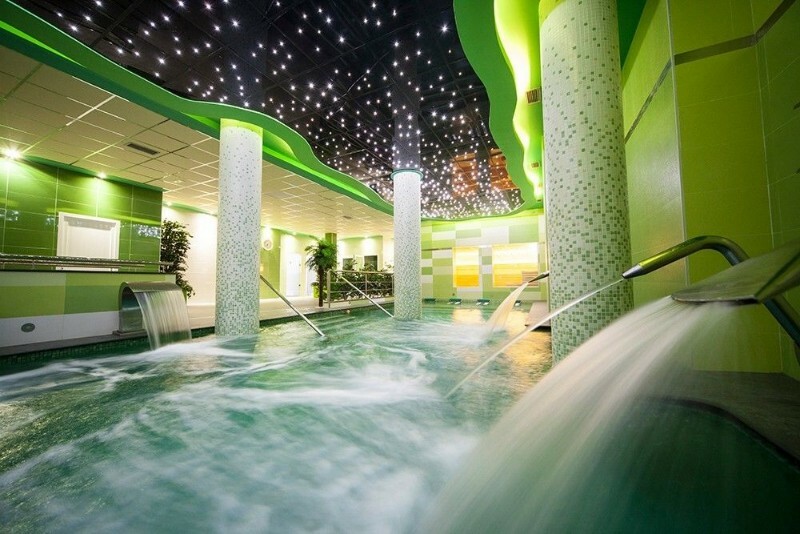 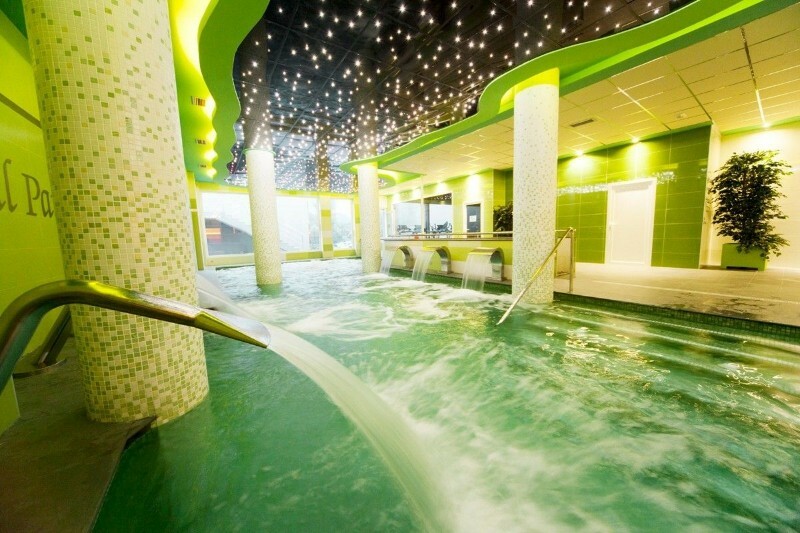 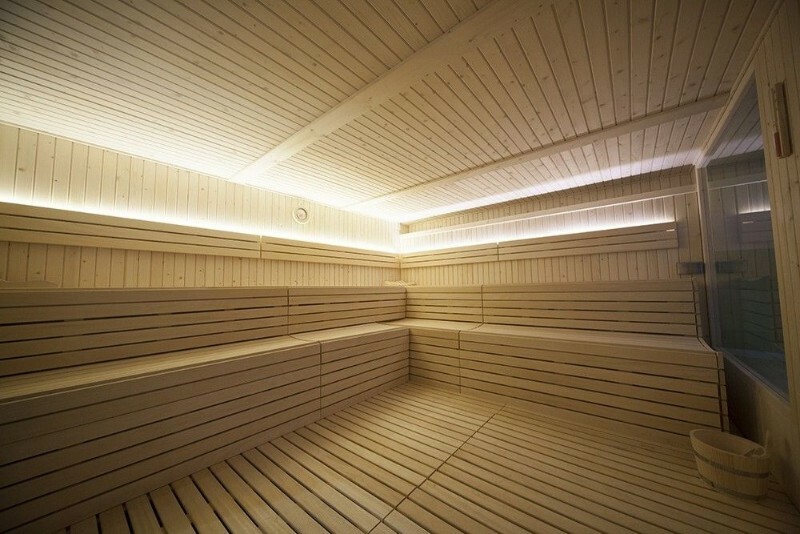 Royal Park Green Spa is a symbol of quality in the Spanish residential sector. 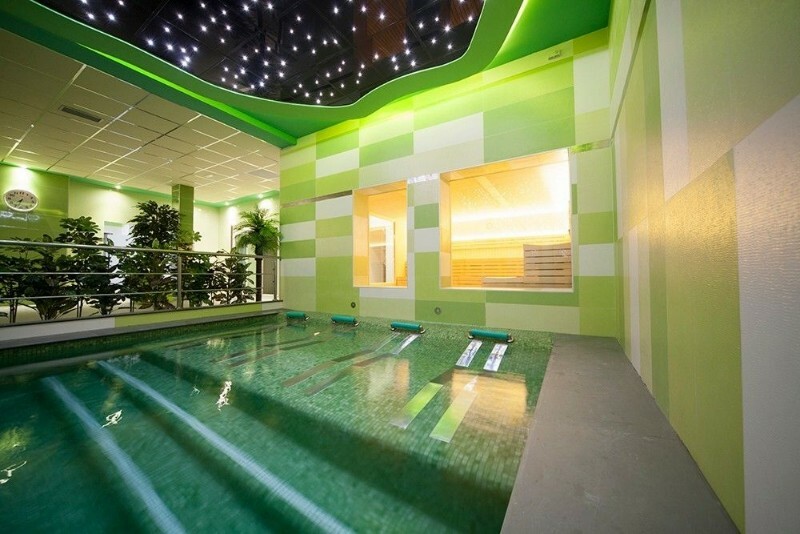 Here, comfort and benefits for residents are the most dominant aspects. 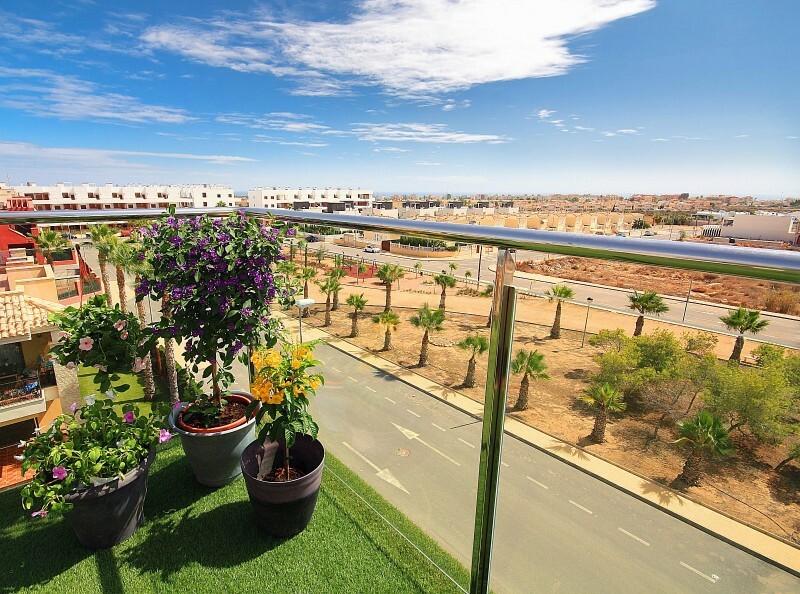 The project has a unique landscape design with decorative flowers and selected species. 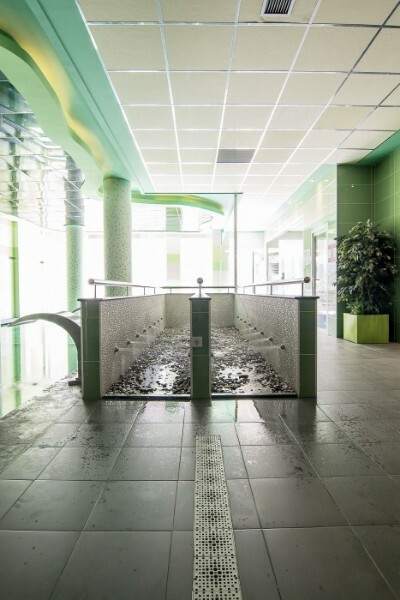 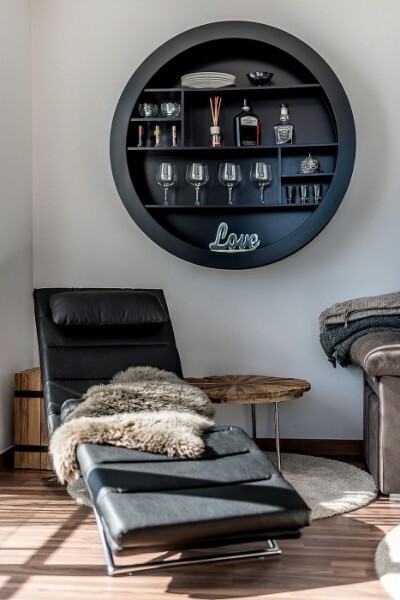 Apartments of very high quality benefitting from a spa and wellness centre with a large thermal pool, jacuzzi beds, massage showers, Finnish sauna, Turkish bath, gym, and locker room - all for the year-round exclusive use of the residents! 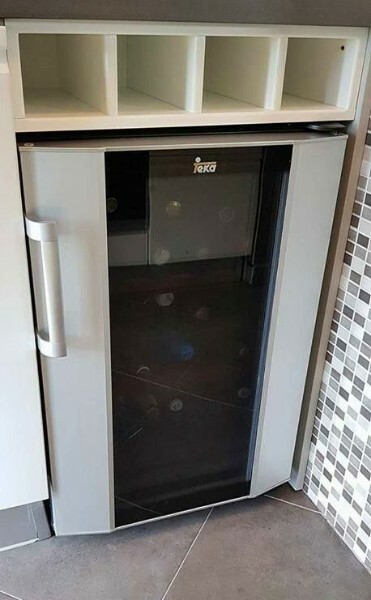 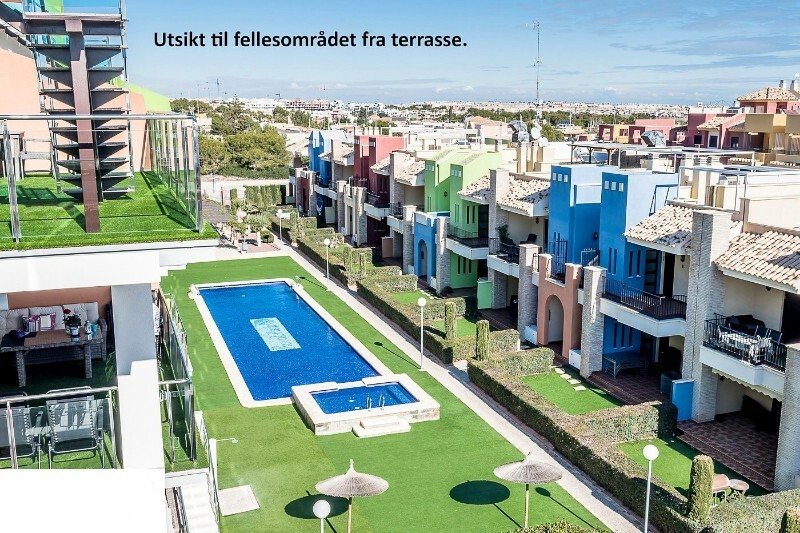 Price: €348,000 + taxes and legal fees. 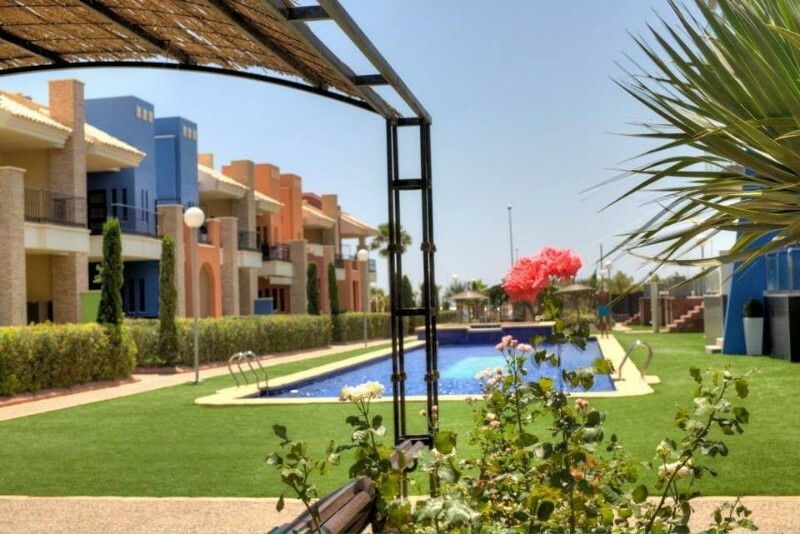 Blessed with more than 300 days of sunshine per year, this property is great for holiday-making and permanent living alike. 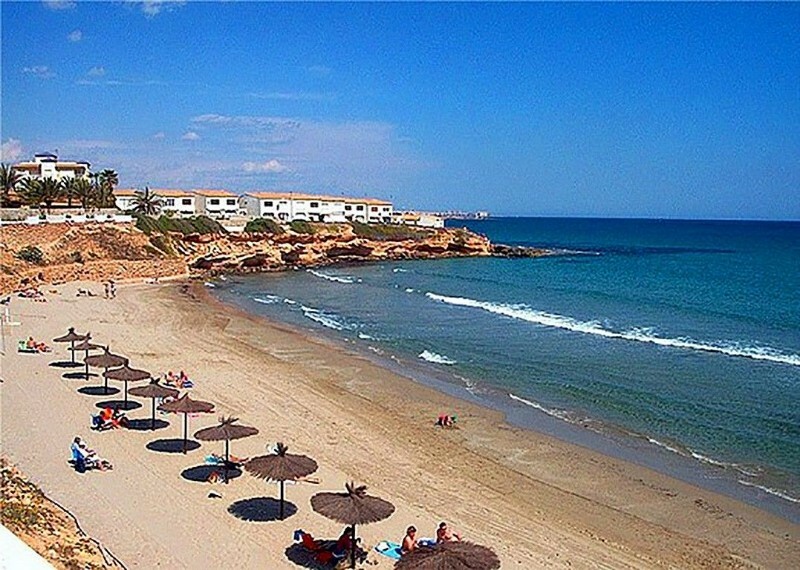 Cabo Roig has one of the best beaches on the Costa Blanca, flying the FEE Blue Flag, as do all its neighbouring beaches as well: Campoamor, Mil Palmeras, La Zenia, Playa Flamenca, and Punta Prima. 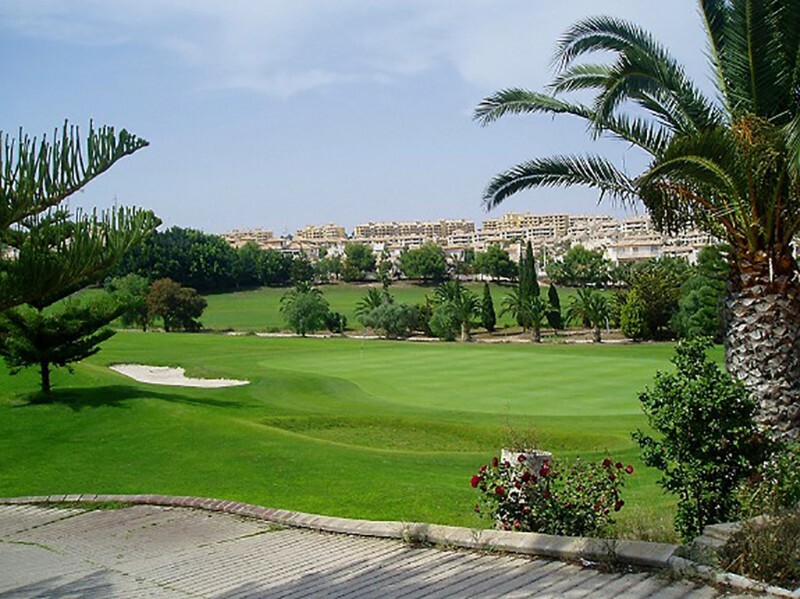 Within a few minutes' drive you have four great 18-hole golf courses: Las Ramblas, Campoamor, Las Colinas, and Villamartin. 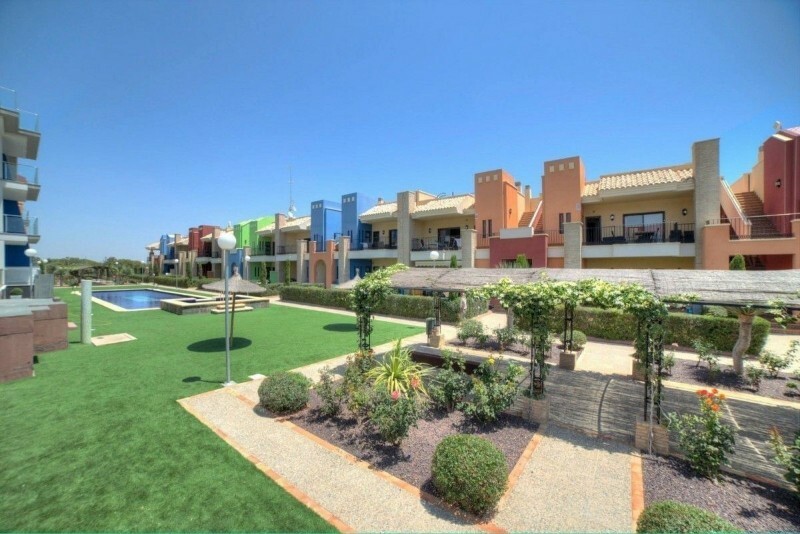 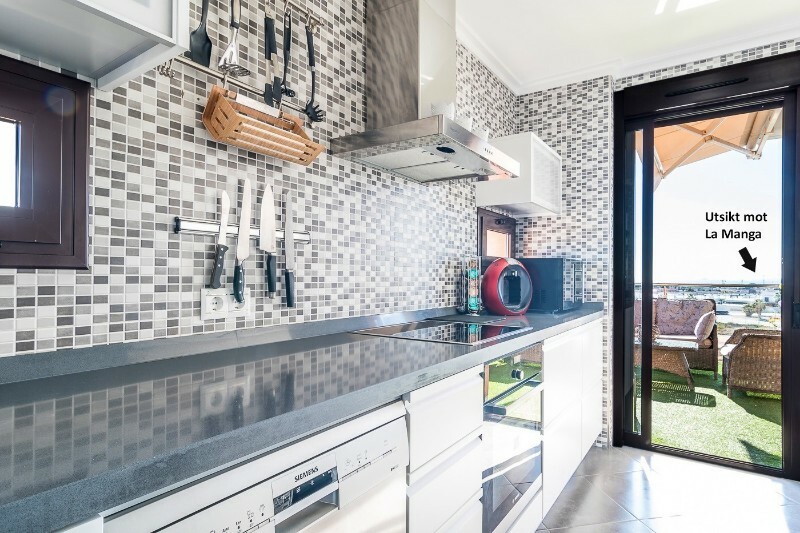 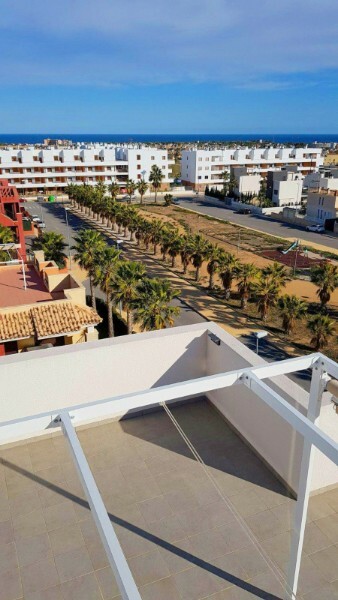 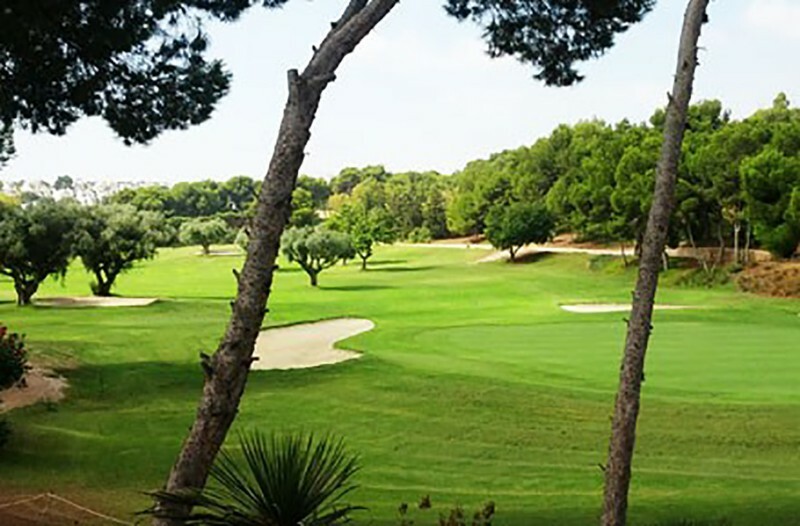 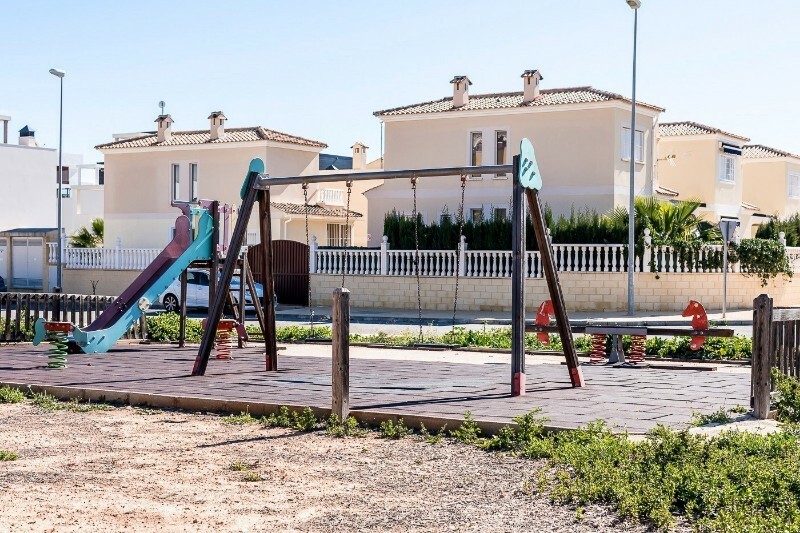 The complex is also close to the famous pine forest of Dehesa de Campoamor and has excellent connections to local villages and the motorway. 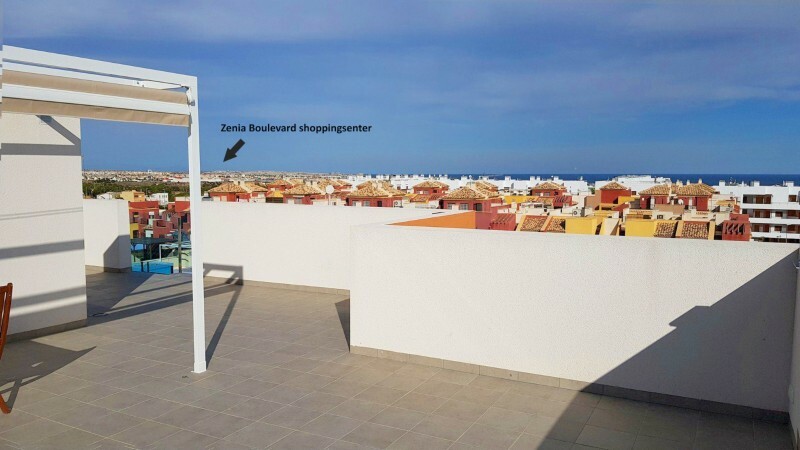 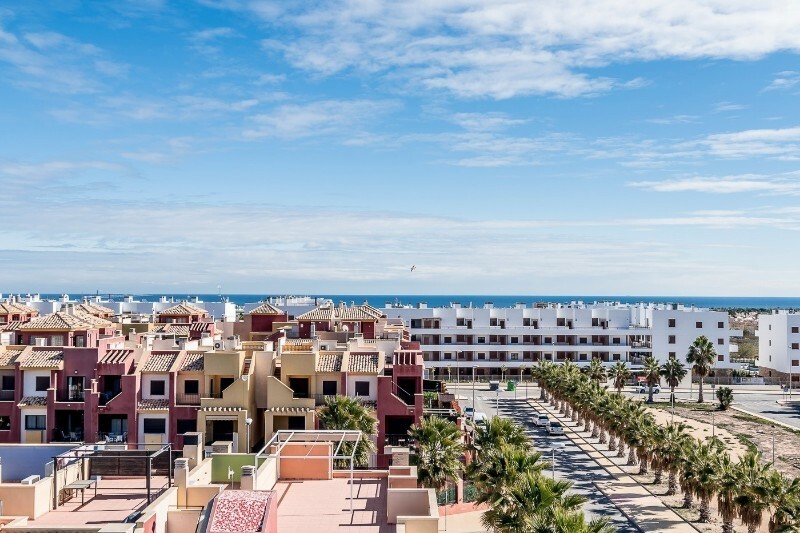 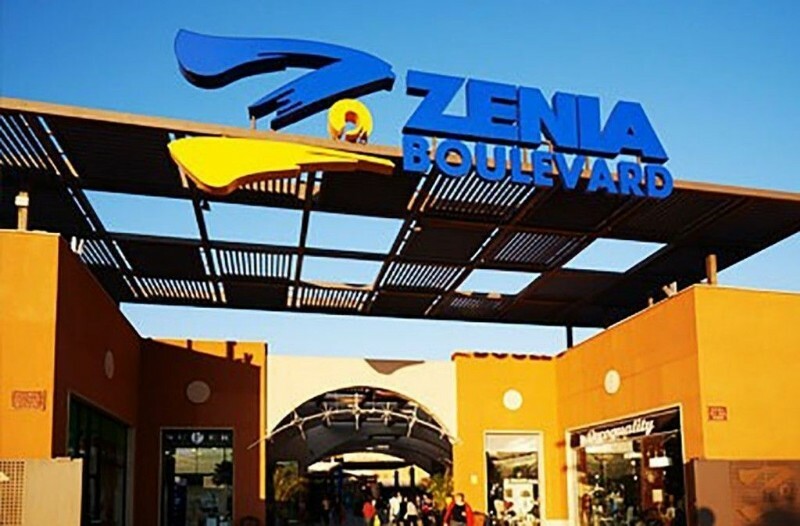 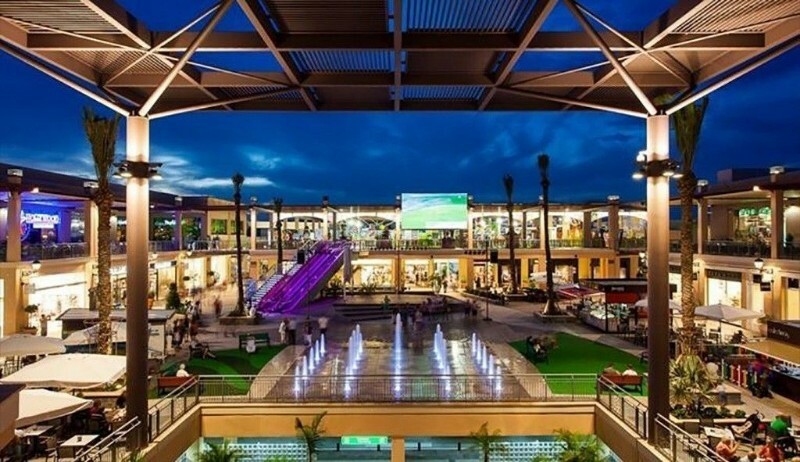 Visit nearby Zenia Boulevard, the largest open-air shopping centre in Europe with its 160+ shops and restaurants - within walking distance of 20 minutes.